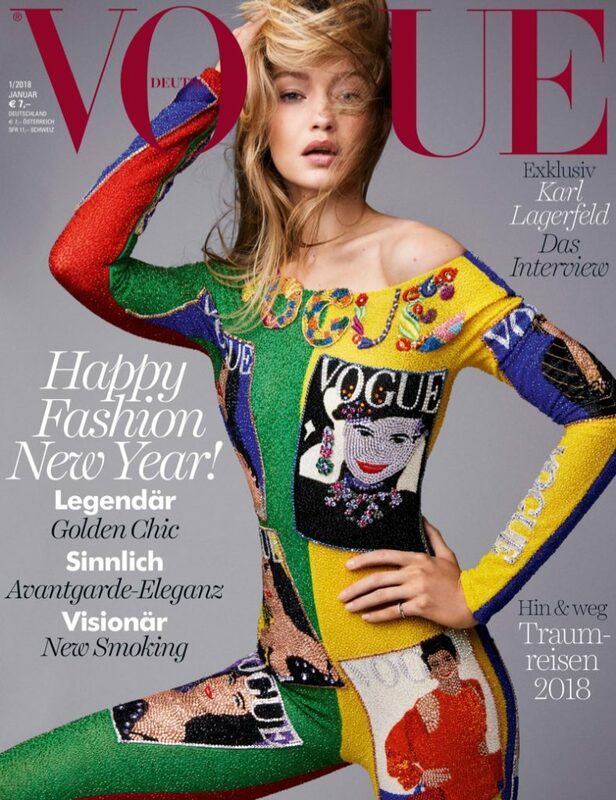 Beauty girl, Gigi Hadid is on the January 2018 cover of Vogue Germany issue. Gigi was Photographed by the one and only Patrick Demarchelier. Queen Gigi wore a customized bodysuit from Versace which I love it. The editorial looks epic with fun and sassy looks.